Last Saturday I worked myself into a frenzy to prepare a few homemade gifts to my closest and dearest. While most of my friends enjoyed an assortment of homemade candies, Little Brother and Boyfriend got something a bit more special. I noticed recently that Nutella made its way to Little Brother’s shopping list. 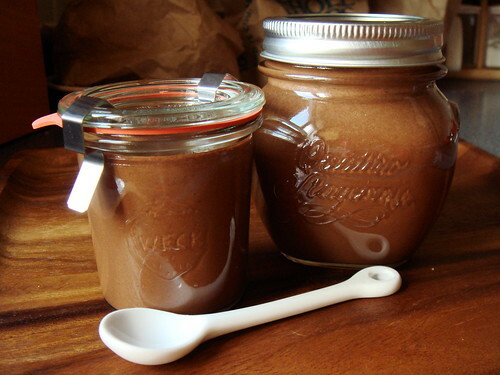 Nutella is one of those things that goes in and out of fashion at my home. We would go through phases when we could not get enough Nutella and then for no reasons at all, we go cold turkey for months, even years. To feed our latest obsession, I decided to make a homemade version. 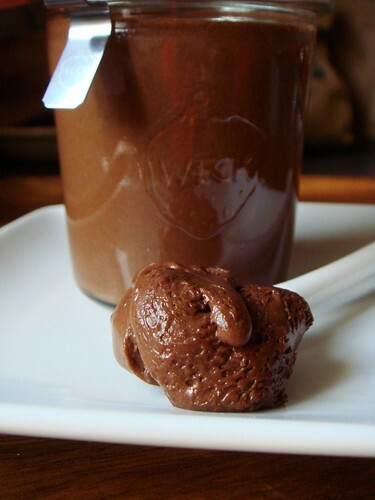 Thanks to Nutella Day, there is a huge collection of recipes out there for the beloved hazelnut spread. I went with David Lebovitz’s trusted recipe. When you have such a scrumptious spread, you need an equally great slice of bread as canvas. 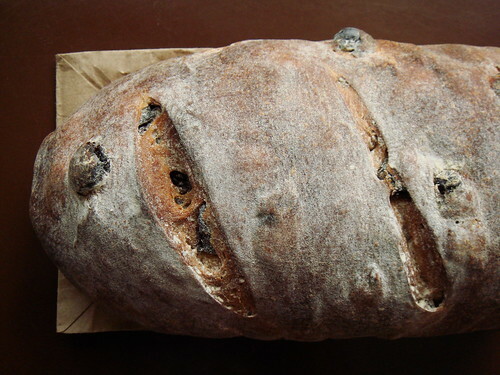 For a special treat, I made Boyfriend a loaf of Cardamom Cherry Bread loaded with half a pound of dried sour cherries. Every slice was studded with deep garnet nuggets of tart sweet cherries, it tasted like the bread had jam built right in! This bread is inspired by Dan Lepard’s Easiest Loaf In The World. I used 250g of dried sour cherries, 1 teaspoon of cardamom, and 1 teaspoon of cinnamon. What a glorious loaf! As great as the bread was, it was not a big deal as far as gifts go. What made it super special was that I hand delivered it from Toronto to Boyfriend in Washington DC. I stayed up as late as I could to bake the bread so it would still be fresh when I arrived. Now that’s love! When I slicked on a huge dollop of homemade Nutella on homemade cherry bread, the extra effort of getting these gifts done on time was all worth it. In this day and age when shopping for a present is as easy as a few mouse clicks, I think there is value in hand making something that cannot be bought. 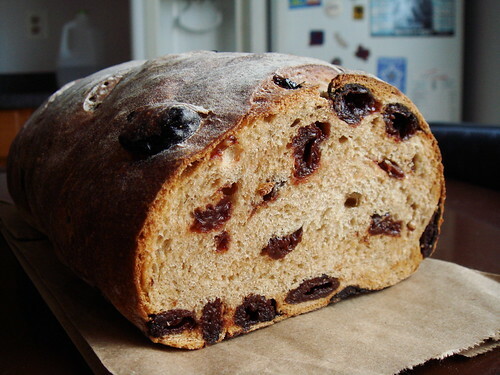 Yes, there are better bread that I can buy at bakeries but would they really have half a pound of dried sour cherries in one loaf? Cherries being Boyfriend’s favourite fruit, the thought that went into the gift along with the in person delivery count much more than the gift itself. As for the homemade Nutella, using top notch ingredients to create the most intensely hazelnut flavour was a treat that Little Brother appreciates. Although we did not spend Christmas together but a couple of hours in the early morning, the joy which he discovered the jar of homemade Nutella along with all the goodies in his stocking is priceless to me. The last year my home cooking has improved leaps and bounds. However, the most satisfying part is not the food themselves. I am thankful to have the ability to treat people I truly care about with gifts that can put a smile on their faces. That is ultimately my motivation to cook and bake.